Travel Costs > How Much Does Flexjet Cost? How Much Does Flexjet Cost? FlexJet offers private charter service, operating and owning its own fleet. The company was founded in 19965 and is based out of Cleveland, Ohio as a subsidiary of Flight Options, LLC. The costs of joining Flexjet will primarily depend on the type of aircraft you want to fly and the type of membership you want to sign up for as the company offers three options: the fractional program, lease program, and jet card, all of which offers its own inclusions, costs and terms, which we will discuss below. For example, if you wanted to join the Fractional, which offers an actual share of the aircraft in question, a large sum of money is required up front, as much as $500,000 to $1 million or even more, according to the Men’s Journal, plus monthly management, crew staffing and other related administrative costs. This upfront fee will greatly depend on the type of aircraft you want to reserve as the larger the aircraft is, the higher the value will be, essentially increase your upfront costs. This fee, however, only includes the upfront fee and will not include the additional hourly time to fly in the form of a debit card, which is often purchased in 25- and 50-hour increments is said to be in the $125,000 to $350,000+ range. Of course, once you fly your allotted hours, you will have to renew each time. 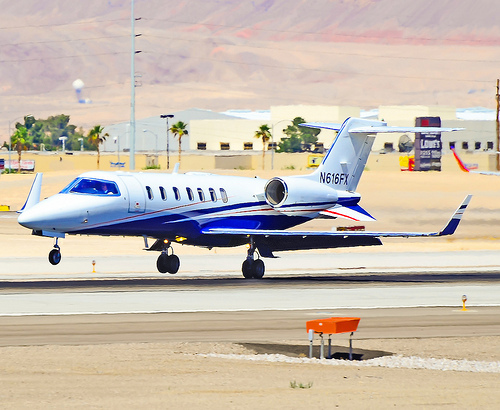 Aside from the fractional membership, other options exist, such as a lease or a jet card, which, if you consider this option, you will not own a share of the jet; rather, you will just pay for the hourly increment cards to fly on the private fleet. Taking the numbers from the prior bullet point, a lease or jet card won’t require a large upfront payment, but instead, you should be prepared to spend anywhere from $125,000 to $350,000+ to fly 25 to 50 hours on the private jet and about $250,000~ as a one-time membership fee. These fees, like the fractional program, will greatly depend on the aircraft you want to fly as the larger the aircraft is, the more you potentially have to pay for the jet card. For example, 25 hours of flying on a the eight-passenger Challenger 300 could cost $210,000, according to the Wall Street Journal. Do note that these were all prices sourced from third-party resources since the company does not provide exact information online. To know for certain what you may need to pay, we highly recommend contacting one of the company’s specialists for more information. Fractional – The fractional program is designed for flyers who fly more than 50+ hours a year, and with this program, the company asks for a 30-month minimum contract commitment, with flights purchased in 50-hour increments. With a Fractional membership, your fee will include a fractional share of the aircraft in question and hourly flight time fees. In some cases, if you did need another aircraft for a certain reason, the company does note they can provide access to another if a situation arises, even on peak days. As of today, the company offers the Phenom 300, Legacy 450, Challenger 350, Learjet 75LXi, Challenger 300 and Gulfstream G450 as part of its fractional program jet fleet. Lease – The lease program is designed for those who also fly 50+ hours a year and will have similar terms the Fractional plan; however, the key difference is that you will not own a fraction of the aircraft. The lease program jet fleet, as of today, includes the Phenom 300, Legacy 450, Challenger 350, Learjet 75LXi, Challenger 300 and Gulfstream G450. Jet Card – The jet card program, designed for those who are flying fewer than 25 hours a year, will be able to purchase in 25-hour increments. This program allows you the freedom to fly when you choose with guaranteed access to either the Phenom 300 or Challenger 300. As per the fine print, additional charges may apply on high-volume days.